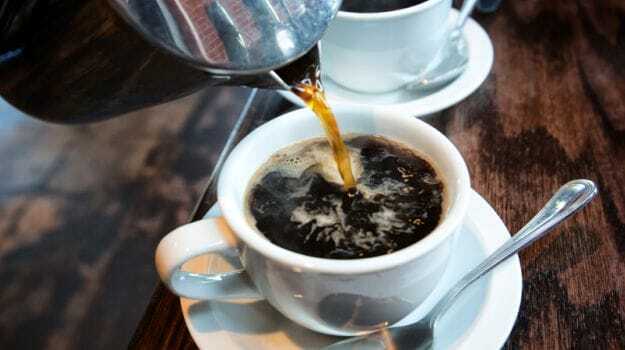 Coffee O'Clock: What Is The Best Time To Drink Coffee? Calling all coffee enthusiasts! Don't let your first cup of the day steer you off course. While you lose yourself in the morning madness and sluggishly reach out for that 8 am coffee, chances are that it may not be as effective. It may not have hit your radar but Steven Miller, a Ph.D. candidate at the Uniformed Services University of the Health Sciences in Bethesda, seemed to have figured out the best time to get your caffeine kick. Based on his research, Miller claimed that drinking coffee between 8am and 9am may not give you the expected boost due to the natural effect of cortisol on our bodies. Here's the science. The circadian clock or more commonly known as the internal body clock regulates the sleep-wake cycle and prompts the release of certain hormones and chemicals throughout the day. Cortisol is a hormone and its peak production occurs between 8-9am. This makes us feel more alert and attentive. Therefore, a cup of coffee consumed around that time may actually do nothing to perk you up because cortisol makes your body naturally active. Also, caffeine may increase the production of cortisol to more than what is required which may disturb the circadian clock. After the initial burst of energy your body starts wearing down as soon as the cortisol levels slip and you may feel cheated which will tempt you to reach out for another cup (considering the first one was obviously ineffective). What's the solution? Your cortisol level rises and dips a number of times during the day. Scientifically, it is known to plummet sometime between 9:30 to 11:30am and then again between 1:30 to 5pm. That's probably when a steaming cup of coffee could work like a charm and get you going. At other times, allow your body to naturally energize itself.